What the Hell Nokia! 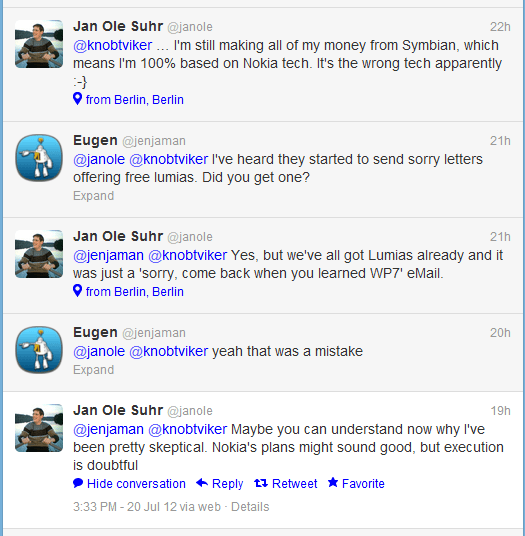 Kicking Out Symbian Developers? It’s quite possible I’m jumping to conclusions without knowing the full story right now, but so far this is sounding pretty crazy; my twitter feed is abuzz lamenting the loss of probably Symbians greatest developer “@janole” the creator of Gravity- the best twitter client ever. 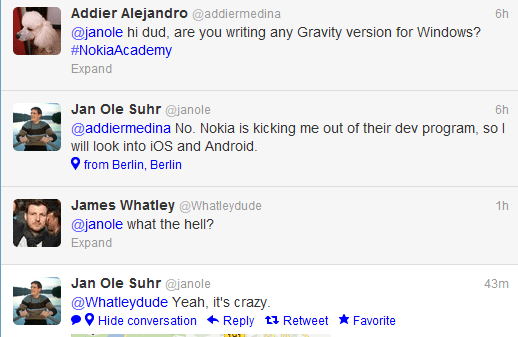 Apparently Nokia have “kicked him out of their dev program” for as far as I could gather since he’s not planning on developing for WP.